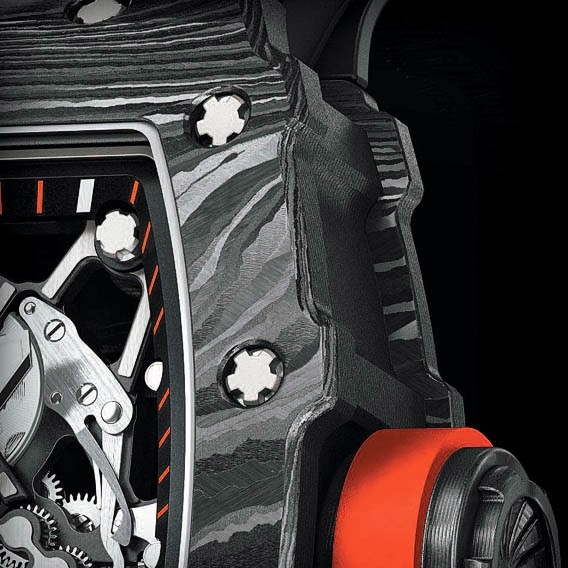 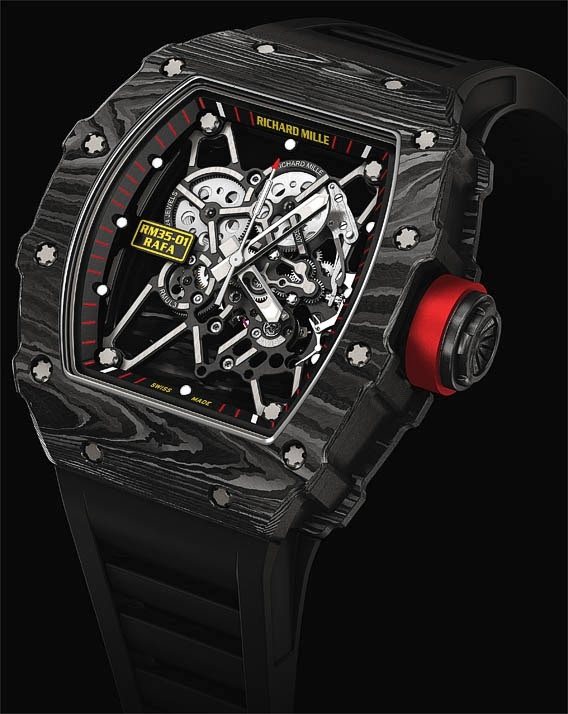 Building on 2010′s stunning RM027 Tourbillon, watchmaker Richard Mille has unveiled his latest timepiece for tennis star Rafael Nadal: the RM 35-01. 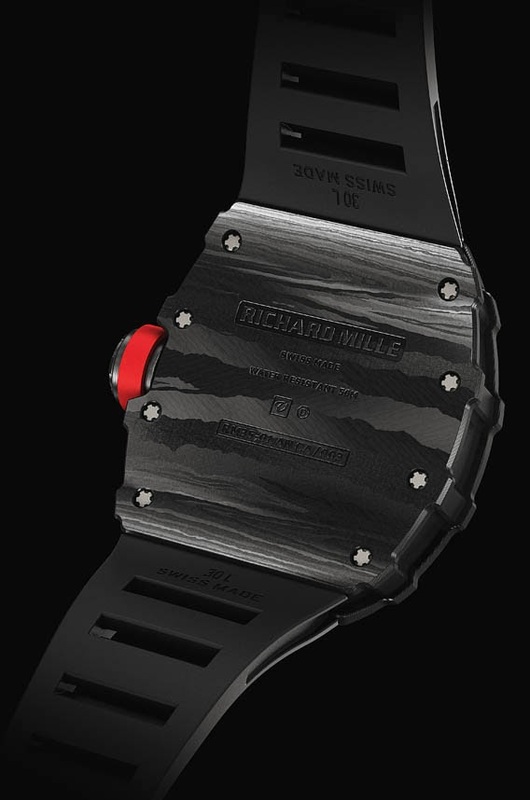 Sporting a carbon case manufactured using the proprietary NTPT technology recently developed by Mille – an undulating design of superior rigidity and strength created by impregnating several 30 microns-thick layers of parallel carbon filaments with a resin – the RM 35-01 is powered by a Calibre RMUL3 skeleton manual winding movement that weighs just four grams and comes crafted in titanium grade 5 black PVD throughout. 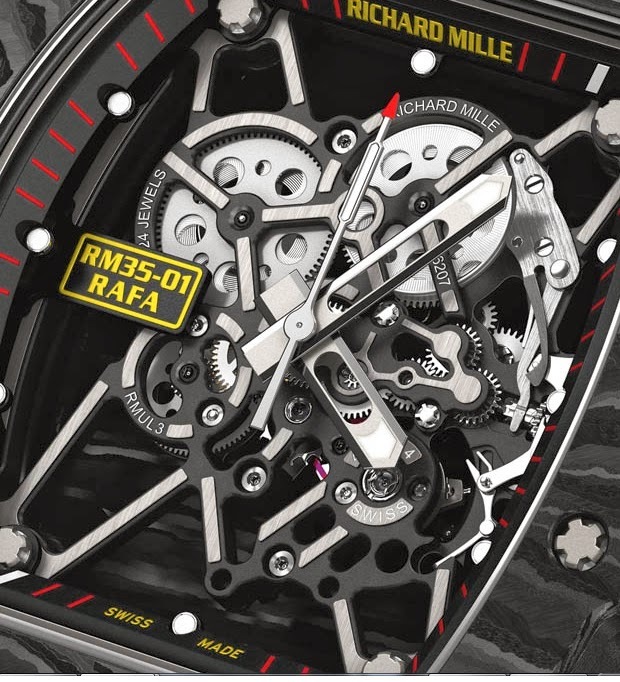 Complete with Mille tech like variable inertia balance and titanium spline screws, Nadal’s latest signature watch will be available in the near future at an undisclosed price from select Mille dealers.